Impacts of over-fishing, wastewater disposal and reclamation on wetland has been widely discussed for years. Now the same kind of attention is demanded by the voracious amount of sand mining happening all around the world. The global urbanization boom is devouring colossal amounts of sand – the key ingredient of concrete and asphalt. More than half of the world’s people now live in cities – with another 2.5 billion to come in the next three decades, according to the UN. All these new cities require mind-boggling amounts of sand. Just about every apartment block, skyscraper, office tower and shopping mall that gets built anywhere are essentially just sand and gravel glued together with cement. Every yard of asphalt road that connects those buildings is also made with sand. All this sand is dredged from coastal or riparian ecosystems at a high cost of environmental degradation. Hydrologic and ecological impacts of sand over-extraction extend beyond riparian or coastal systems into associated wetlands systems as well as marine ecosystems. The amount of sand that could be sustainably mined is finite. Yet modern development demands far exceed these sustainable limits. 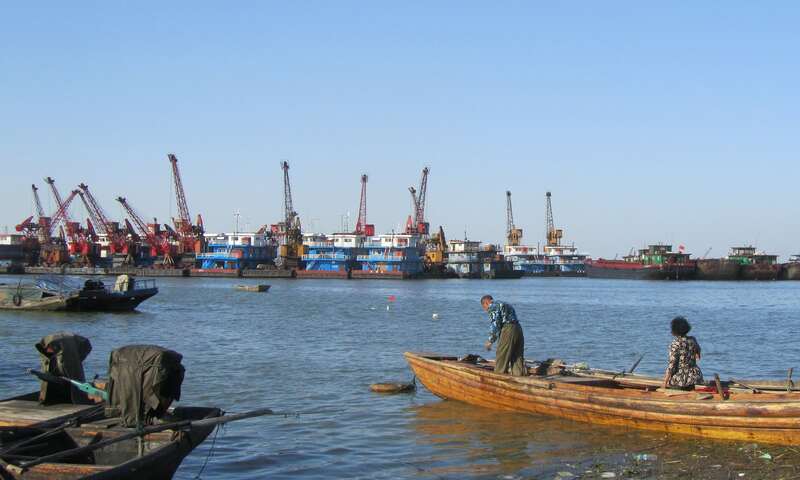 A recent study reveals that China’s biggest fresh water lake; “Poyang” is experiencing a dramatic decline of water level and decrease of water quality due to extensive sand mining, affecting habitats of migratory birds and endangered aquatic species and the local fishery industry. Read more about environmental hazards triggered by sand mining.